Play the Bejeweled 2 slot on your phone & tablet! Who doesn’t love a great sequel? Bejeweled 2 slot is an updated version of the popular original slot behemoth, Bejeweled Slots. 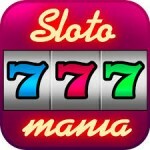 This radical, cascading slot game is now available as an app for your mobile device (phone and tablet). Trust me, you will not be able to put this dazzling game down! Play Bejeweled 2 right now at Virgin Casino and get a nice welcome bonus! Bejeweled 2 Slot is a 5 reel, 20 pay line slot game app which brings some wonderful improvements to the great original Bejeweled Slot game. It is available at the wonderful online casino of Virgin Games. This sparkly spinner features exciting wilds and multiple interactive bonus games that will have you beaming with joy. 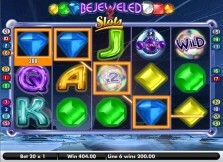 Any fans of the original Bejeweled Slot game will love this enhanced version, and newbies will pick it up very easily. The Bejeweled 2 Free Spins Bonus symbol is just one of three bright scatter symbols in Bejeweled 2 Slot. 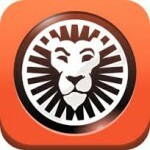 Round up three or more of these anywhere on your slot screen and free spins are yours. 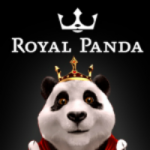 Three Free Spins scatters will win you 15 free spins, four of these symbols will bring on 25 free spins, and if you land all five of the Bejeweled 2 Free Spins Bonus symbols, then you’re looking at an incredible 50 free spins on the reels! You simply can’t beat that! The fun doesn’t stop there jewel lovers! By matching up three or more of the Wheel of Riches scatter symbols, another bonus round is launched. 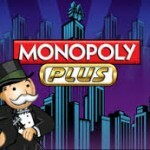 This clever bonus game brings you to a Wheel of Riches that spins and awards you a bonus multiplier to add to your bet. Yet another scatter symbol in this exciting game is the Bejeweled 2 Scatter Bonus, which lovers of the original will certainly recognize. This bonus game plays out like Bejeweled Hypercash, where three or more gems that line up next to each other, vertically or horizontally, will cause the jewels to explode! Each time they explode, it brings on big wins for you. As they explode, more jewels will cascade down from the top of the screen. Look out for a bright, glowing Powergem symbol which will double up your winnings and cause all the other jewels in its neighborhood to explode, bringing on even more gems from the top! 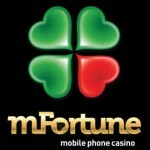 With so many awesome bonus games, and chances for shimmering wins, you can’t find a better mobile slot app out there. Spin and win the bling with Bejeweled 2 slots!